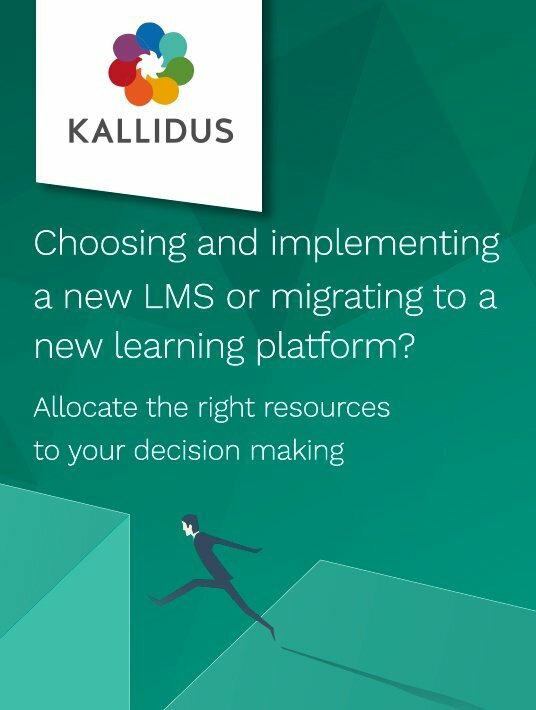 Learning Management Systems / Free eBook: Choosing And Implementing A New LMS Or Migrating To A New Learning Platform? Free eBook: Choosing And Implementing A New LMS Or Migrating To A New Learning Platform? Choosing an LMS will surely turn out to be a matter of more parameters than you initially thought of. One main reason is the implementation, whether you start from scratch or you migrate to your new LMS. This is something you should look into, according to the needs of your organization. No ranking can guarantee you a safe choice. With this helpful read, you will be able to equally weigh each stage of the process and plan your eLearning projects for success. When going ahead to implement a new LMS to your organization, you’ll be faced with a series of challenges. Choosing And Implementing A New LMS Or Migrating To A New Learning Platform? will present you with numerous ways to minimize the risks and reach long-term success. It also covers both possibilities of either starting from point blank or proceeding with migration. Choosing And Implementing A New LMS Or Migrating To A New Learning Platform? Discover how to allocate the right resources to your decision making, whether you’re implementing a new LMS or simply migrating to a new learning platform. Whether there are matters that deal with learners, administrative support, and predicting a series of other factors, you’ll see that the authors of this eBook have you covered. You’ll even read and learn about achieving employee engagement and measuring it. There is advice for a flexible front end and a consistent back end as well, and pretty much anything to may come to ask, depending on your decisions on choosing, implementing, and using your new LMS. 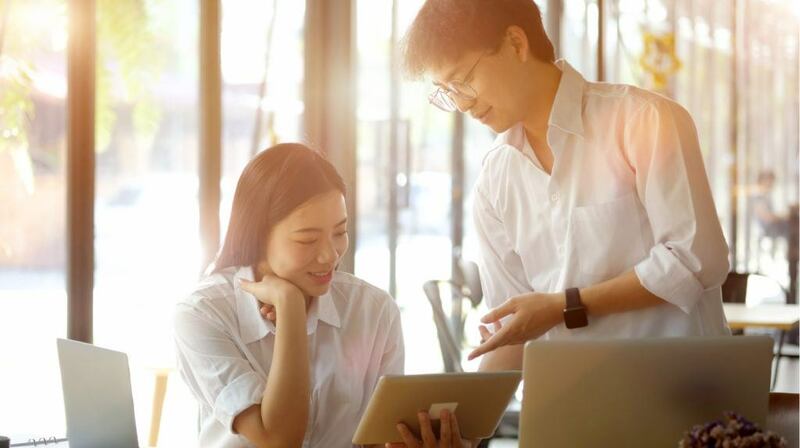 There are so many issues behind the main question ‘Choosing And Implementing A New LMS Or Migrating To A New Learning Platform?’ What to ask when choosing your new platform, what ways there are to engage your learners, and how to respond to the challenges of introducing your LMS to your workforce. You’ll also be wondering about the administrative support of the LMS, be it of online or offline use, the preparations before its launch, and many more. All these you’ll be ticking off of your to-do list, thanks to the insight found here. How Will You Engage Your Learners? Nearly half of the organizations are looking for a new or different technology. Regardless of the standards everyone set, you should closely consider the implementation plans of your shortlisted LMS vendors. Then move on to answering how much you need all the features provided, and what are your core objectives, along with your company’s infrastructure and the number of online learners. You should also ponder on how you will engage your learners and all these with the help of Choosing And Implementing A New LMS Or Migrating To A New Learning Platform? Next set of things to deal with include assigning the responsibility of the ownership of the LMS. Here you must choose between IT, HR, Operations, and L&D. Read the pros and cons of a decision like this and keep in mind the system’s reporting and functionality. Another option that weighs for implementation or migration is the one between online and offline. The authors at Kallidus seem to opt for the first choice. As to the concern deriving from a disparate workforce, there are some features to be checked, like your new LMS being fully responsive. After running some thorough tests, find enough time to plan and prepare the launch of your LMS. Here you are advised for making sure that your key stakeholders are backing your decisions and plenty of issues on employee data, training history, and reports. In our high-speed times, simplicity is vital for keeping things short and precise. Customized content and integration follow closely. The chapter after these has to do with online learners’ engagement and how to measure it. For this, you have to fine-tune your tracking and consider automating month-to-month reporting. Lastly, the focus centers on the flexibility of your front end and the consistency of your back end. In conclusion, however you decide to use your LMS, the final words of advice urge you to ensure that you build relationships across the organization, to gain support from all departments. If you want to discover the pros and cons of implementing a new LMS or migrating to a new platform, download this free eBook today.